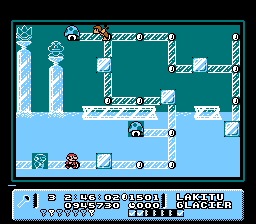 Aside from the â€˜typicalâ€™ graphics and text changes, this hack alters musical melodies, a full line up of all new levels, new power ups, new abilities for Mario, and even new enemies! Money mushrooms, invisible Mario, time stopping potions, Kuribo shoes in any level that donâ€™t disappear, shy guys that create projectiles, heat seeking bullet bills, and others are just the beginning of the changes made to this game. 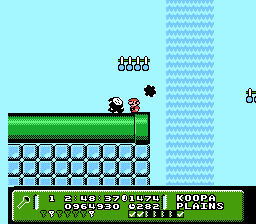 On top of that, you have random weather patterns on every stage, boss battles on every stage, and infinite lives, so your coins go to more useful purposes. They will be used to buy items from Toadâ€™s house and get some level exits to appear. Letâ€™s not forget stored, and switchable, power ups such as those found in Super Mario World!